We are delighted to be working with Blas na hEireann as a supporter for the 2018 awards, sponsoring the Savoury Snacks category. 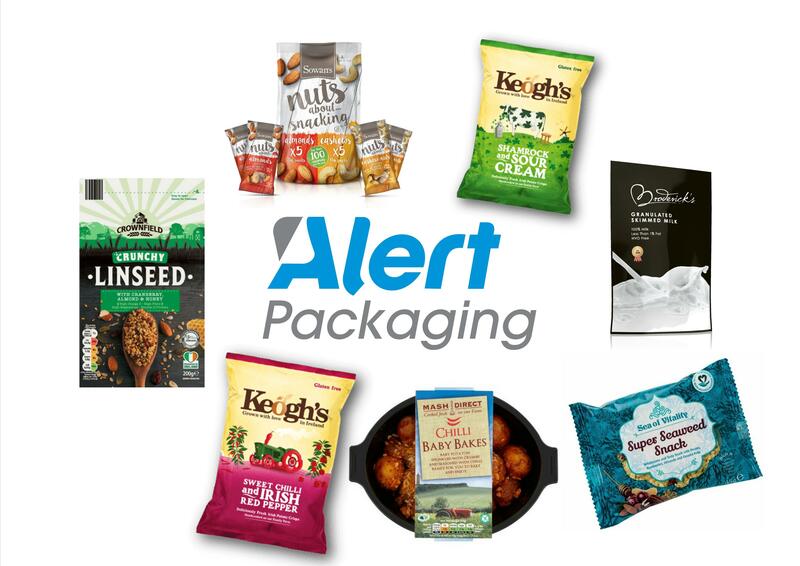 Alert Packaging specialise in quality-led and accredited printed flexible packaging for businesses in the food and food ingredient sector, operating to BRC Issue 5, Grade AA Accreditation. “We believe that quality printed flexible packaging is a key enabler of growth for our customers. Using the very best in High Definition Flexographic print technology and our unique 100% print inspection system, we help our customers to deliver packaging that grows their business and gets them to market faster, while keeping competitive pricing in mind. To succeed in a quickly-evolving market it takes experience and know how to create the right packaging film and format to promote and protect your product in the shortest lead time possible. Our Online Customer Portal System enables our customers to gain instant access to orders and items in stock 24 hours a day, 7 days a week. By logging in online, each user can immediately see what orders they have in progress and at what stage the order is at, providing up to date information at the click of a button. Our product range includes; high barrier laminated films for Form Fill and Seal, Stand Up Pouches, Tray Lidding, Casings, Thermoforming, Film For Extended Shelf Life, Film for High Speed Packing and New Product Development. We are the experts in laminated high barrier films which are designed to protect your product and create an ideal environment that promotes freshness and extended shelf life. We provide a wide variety of laminate structures and can advise on the most suitable for your requirements. Our film is supplied as a single layer or a multi-layer laminate, with each layer providing a different function within the packaging. We use a high-speed laminating machine which is solvent free and environmentally friendly which is a significant part of our commitment to environmental good practice. Perfect Print – Our 100% Inspection System is unique in the Irish marketplace as it guarantees that every square millimetre of printed film is quality checked and recorded for register, colour or any other print defects. Online Customer Order Tracking System - Our Online Customer Portal System enables our customers to gain instant access to orders and items in stock 24 hours a day, 7 days a week. By logging in online, each user can immediately see what orders they have in progress and at what stage the order is at, providing up to date information at the click of a button. Clients who trust us include; Tesco, Lidl, Aldi, Flahavan’s, GEM Pack, Keogh’s and many more.